Pentylene glycol. 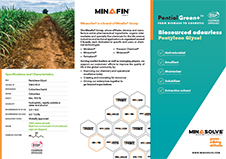 Pentiol Green+™ by Minasolve acts as an emollient, humectant, solubilizer, antimicrobial, protective and skin conditioning agent. It is made from non-food parts of corn (cobs) and sugar cane (bagasse). It provides pleasant, non-tacky and non-oily skin feel. It offers long lasting effect and stabilizes lipophilic ingredients in aqueous solutions. It can be combined with classical or non-classical antimicrobial agents to boost their preservation effect. 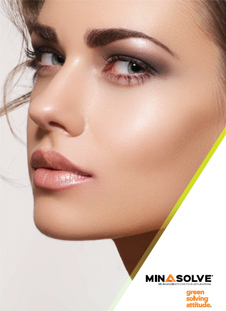 Pentiol Green+™ finds application in formulating perfumes, toiletries, make-up and skin- & hair care products. It hydrates gelling agent such as xanthan gum and performs as a solvent for extraction. Moreover, it is GMO-free, sustainable, eco-responsible, REACH & NATRUE compliant and ECOCERT-/COSMOS-approved. Meets KFDA, EINECS, TSCA, NDSL, AICS, IECSC, ENCS, KECI/ECL and NZIoC. It has a shelf-life of 24 months. Please note, these HSP values are estimations. It is based upon the “like seeks like” principle. It splits an ingredients interactions into three parameters; δD (Dispersion force interactions), δP (Polar forces interactions) and δH (Hydrogen bond force interactions). Hansen Solubility Parameters can help you find a wide range of products that are predicted to be compatible with Pentiol Green+™. A practical determination of these HSP values would provide higher certainty. Learn More.